Lester Young (1909-1959) was one of the great jazz masters, whose tenor saxophone playing brought new levels of expressiveness and subtlety to the jazz language. Many of his recordings - with Billie Holiday, as a member of Count Basie’s band, and under his own name - are numbered among the finest examples of the art. A complicated, vulnerable, gentle man, Lester (dubbed ’The President’, by Billie Holiday, later shortened to ‘Prez‘) was brought up in his father’s travelling carnival band. His early career was spent in the nightclubs and dancehalls of Kansas City and the South-West and he made his recording debut at the peak of the Swing Era. At the height of his powers he was drafted into the US Army, where racism and his own unworldliness landed him in a military prison. Thereafter, he became withdrawn and suspicious, and, as his music grew darker, seemed to lose the will to live. 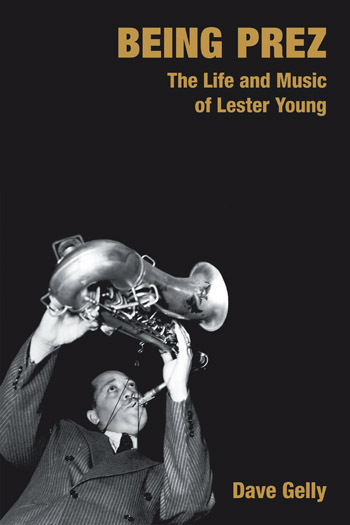 The book follows Lester Young through his life in a rapidly changing world, showing how the music of this exceptionally sensitive man was affected by his experiences. The author, a musician himself, examines many of Lester’s classic recordings in illuminating but non-technical detail.